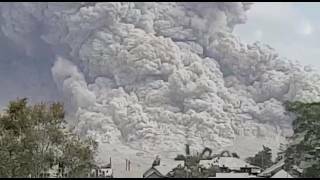 RARE Footage Mount Sinabung Volcano Erupts every night. 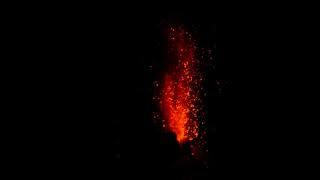 A volcano eruption in Indonesia, Saturday afternoon, was thought to have killed three people and injured several others. Since then, the death toll has risen. Mount Sinabung is located in the North Sumatra province and is one of the 120 active volcanoes that can be found in Indonesia. The area is prone to seismic activity which can trigger a volcano eruption. It’s located on the Ring of Fire, which is an arc of volcanoes and fault lines located around the Pacific Basin.